Crumble last night’s meatloaf into egg custard for a quick, easy protein-packed breakfast. 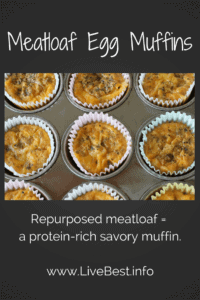 Meatloaf egg muffin cups, reduces food waste deliciously! Do you take food for granted? Yet when you don’t till the soil, plant the seed, or harvest the crop, it’s easy to take food for granted. It’s estimated that between 25 and 40 percent of the food that is grown, processed, and transported in the United States will never be eaten. Think about a head of lettuce. If the lettuce is not the right size during harvest, it can remain in the field. If the lettuce is damaged during packaging, it gets tossed. If the Interstate closes due to a snowstorm, the lettuce may deteriorate so much that the grocery store won’t accept it. If you’re served a salad that’s too big to eat, the leftovers are scraped into the garbage. If the lettuce you buy turns to brown sludge in your crisper drawer, it’s thrown out. According to the Environmental Protection Agency, food is a major contributor to landfills. As food in landfills decays it becomes a significant source of methane – a potent greenhouse gas with 21 times the global warming of carbon dioxide. But there are some solutions that you can control. Ask: “What do I have on hand?” not “What do I want to eat today?” Shop your cupboards first. Develop your menu or grocery list around these foods so you can plan uses for them to save money and time. FIFO – First in, first out. Avoid cupboard castaways by bringing the older food to the front as you put groceries away. You can save money when you keep tabs on the shelf life of food. Cook reasonable portions. Leftovers are great, but making too much food that doesn’t get eaten? Not so good. Keep reading to see how I repurposed meatloaf into two other meals. Serve just enough. I call this the Goldilocks’ version – the just right amount of food so that wasted food is minimized. Check out more LiveBest tips to reduce food waste. 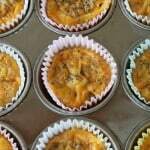 A few online resources that provide recipes based on what you have on hand are SuperCook.com and AllRecipes.com. Why I like meatloaf…it’s cook once, eat thrice! Intending to cook once and eat twice with bestovers, here are two ways I repurposed leftover meatloaf. This meatloaf pain was even better than the meatloaf dinner! Use a sturdy bread with a good chew factor such as sourdough, rye or ciabatta. If you have leftover roasted vegetables, layer those on the sandwich. I don’t have a Panini maker so fashioned my own by using a griddle, baking sheet and some canned fruit to serve as weights. Lightly spread mayonnaise or butter on one side of each slice of bread. Layer meatloaf and cheese on unbuttered side of bread. 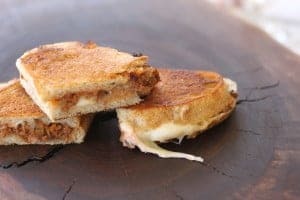 Place sandwich on griddle. Lay a baking sheet on top of bread and rest cans on top to serve as weights. Grill 3-4 minutes per side. Crumble meatloaf into an egg custard and you’ve taken dinner over to breakfast. A great way to use up the remnants from dinner. Crumble meatloaf into an egg custard and you’ve taken dinner over to breakfast. Meatloaf Egg Muffins are a great way to make a bestover! 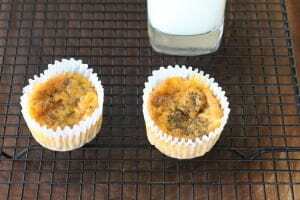 Line muffin with with paper liners or lightly spray the cups with cooking spray. Combine all ingredients. Pour into muffin cups and fill to ¾ full. Bake 15-20 minutes until mixture is set and lightly browned.